But not many of us have laces to spend on a home cinema setup. Luckily the affordable end of the market is getting ever more competitive, with pricier options sharing more and more of their features with far cheaper models. It’s this constant pushing of the bar that makes the sub-$889 sector so interesting, not to mention constantly changing. 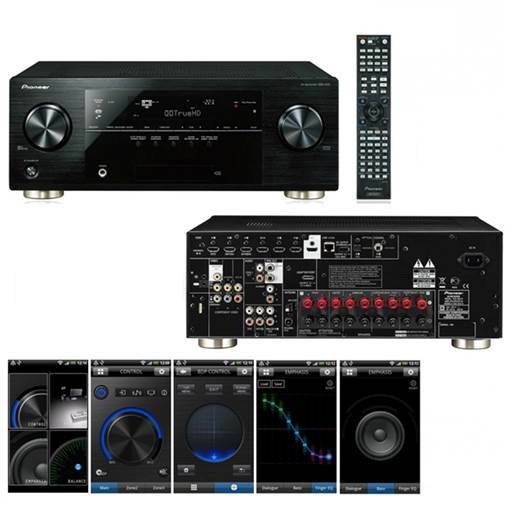 On test we have the Sony DTR-DH820, a 2011 Award winner for Best Budget Home Cinema Amplifier, the Yamaha RX-V373 – the product that knocked the Sony from its Award perch last year and the Pioneer VSX-922, a mid-range amp that can be had at a bargain. When we first reviewed the VSX-922 last year, it scored a respectable four stars. That dropped to three towards the end of the year as competition stiffened. 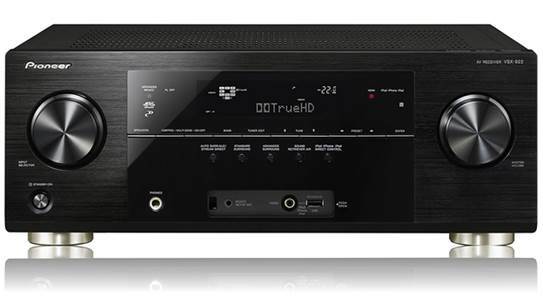 But now it’s available at bargain prices in the market, and it’s become a mid-level amp in an entry-level market. We need to take another look. For, of course, the 922 is packed with features not usually seen in amps made for this price point. A seven-channel amp with a claimed 105W of power per channel, it also offers dual subwoofer outputs, giving you extra flexibility for your setup. Network connectivity is possible via wired Ethernet connection or Pioneer’s optional USB Wi-Fi dongle. Then you’re able to take advantage of internet radio capability, AirPlay compatibility for Apple devices, or DLNA for streaming from any DLNA-supported gadget in your home. It will even stream high-res 24 bit/192kHz files should you have any stored on your computer or NAS drive. As for inputs, you get a generous six HDMI ports and two USB ports one for the Wi-Fi dongle, a second for connecting an external iDevice or USB key. Speaker setup is easy enough with the included microphone. The auto calibration procedure is easily the most thorough on test, lasting around 10 minutes and making for a very accurate setup. There’s also a free-to-download app that can help you – among other things make sound field adjustments, switch between connected sources, control bass and treble levels and adjust video parameters. It’s a clear and easy-to-use app and, should you wish, can largely make the included remote redundant. At the price, we wanted a more powerful sound from the VSX-922, but in this test it sounds much bigger than its competition. In the sand storm scene of Mission: Impossible Ghost Protocol, the sound of the sand whips up all around you with an impressive level of detail, putting you right in the middle of the storm. Sound spreads naturally throughout the room, jumping between the speakers with a striking level of accuracy, and delivering an experience that sounds all the more realistic because of it. The Kremlin explosion scene is also a great way of showing off what this amp can do. There’s real force and precision behind every one of the blasts, and even when things get busy and rubble showers down around you, the VSX-922 remains focused and composed. Music is also delivered with great timing and precision, be it a movie soundtrack or CD. The treble is crisp, dialogue is clear and well defined, and there’s real oomph in the lower frequencies. It’s not the last word in excitement – the Yamaha probably pips it when it comes to conveying more subtle dynamics but its performance in most other areas goes a long way to make up for this. It’s hard not to keep referring to this Pioneer’s price drop. At its original price point it was being far outclassed by its competitors; but when considered in this lot, this is a seriously impressive package with so much to like. MCACC (Multichannel Acoustic Calibration System) is Pioneer’s auto-set-up software. It’s been developed with the help of Air Studios in London. The system not only sets speaker sizes, distance and level, but can also equalize the output from each channel. The process takes several minutes but is pretty accurate.